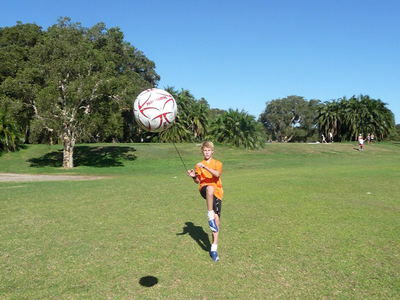 We sell the Largest Range of real true Training Footballs in the world. 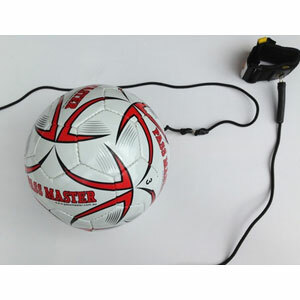 Deluxe Pass Master comes with 2 x chrome swivels, this stops any twisting of bungee cord. 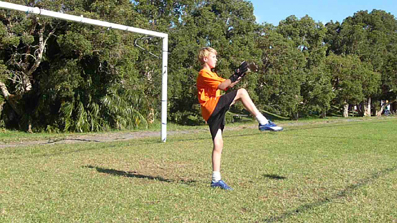 The Soccer training football, has been designed for Players to Master the different skills a player needs to play football. 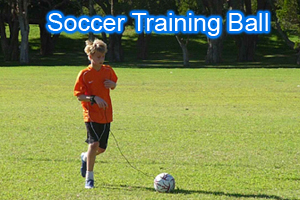 For young players this training ball will help YOU develop YOUR Hand/Eye Coordination, Confidence and Sensory Coordination Skills, such as kicking, passing, throwing and dribbling. 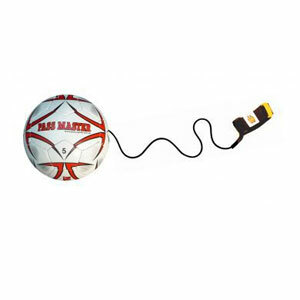 The Bungee Cord that is attached to the ball measures 1.9m and will stretch to 4m when kicked. 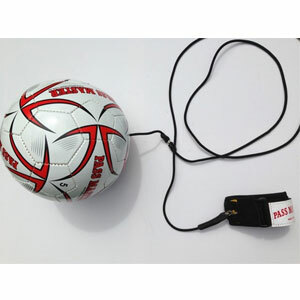 The Deluxe Pass Master Soccer Training Ball comes with 2 swivels. 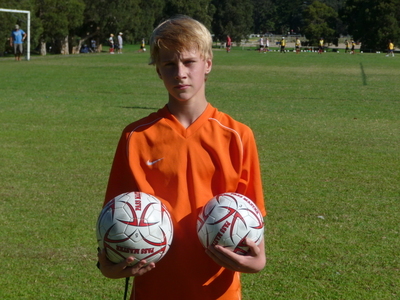 One located on the wrist band and the other close to the ball. This completely stops the bungee cord from twisting and allows greater longevity of the bungee cord. High quality hand stitched ball, made of 3 ply, 2.5mm cushioned PVC synthetic leather ball with Butyl Bladder for longer air retention. 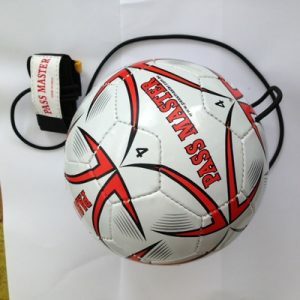 Attached to the soccer ball is a 1.9m length of durable high quality bungee cord and 2 x metal chrome swivels, fitted between the comfortable wrist strap and the ball. This will stop any twisting of the cord. 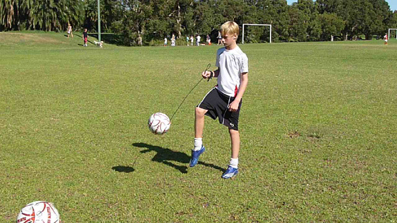 I originally bought my niece Amy a soccer ball on a rope years ago, because as a Coach I wanted her to practice both her intercepts and her defence and this is a hard skill to practice by yourself (as opposed to say just shooting goals). 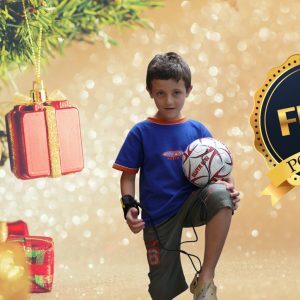 I am very excited to see your product on the market and at a very affordable price too, I think it is an awesome product and I think a lot of players would get a lot from having one at home. The one I have just ordered if for my daughters who are keen to get their hands on it!